Downtown Hattiesburg is considered the heartbeat of the Hattiesburg community due to its rich history, creative vibe, historic architecture, and charming atmosphere. 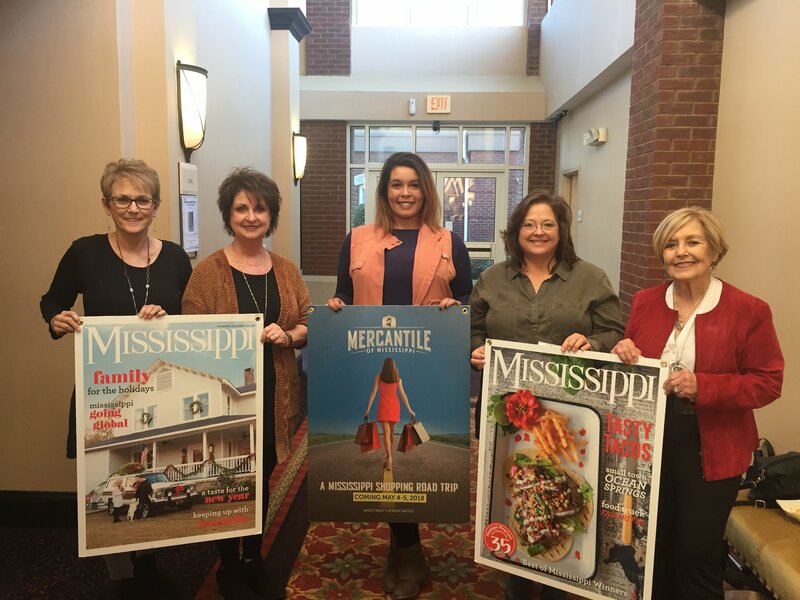 “We have variety of galleries and eateries, a thriving live music scene, and ever growing craft beer industry and a vast and varied community of artists, drawn here by the universities,” said Andrea Saffle, executive director of the Hattiesburg Historic Downtown Association. Founded in 1884 by Capt. William Hardy, Hattiesburg was initially founded as a railroad junction in South Mississippi. Initially known for “trains and timber,” Hattiesburg quickly emerged as a moving and vibrant “Hub City” for the entire region. The City quickly became a center of industry and business, according to the Downtown Hattiesburg Association website. In 1985, Hattiesburg was chosen to be one of the original five Main Street communities in Mississippi by the National Main Street Program. Initially, Main Street was a program of the City with the Board of Directors appointed by the Mayor along with a manager hired by the City. The program operated like this until the early 1990s, due to the reorganization of Downtown Hattiesburg Association. Today, Downtown Hattiesburg is a center for the arts, with the renovated Sanger Theatre and the Hattiesburg Cultural Center. Downtown also holds a unique history with the restored Hattiesburg Depot, City Hall, and the Hattiesburg Library. Hattiesburg recently welcomed four new businesses into the Downtown area. These businesses include Healthy Hub, the Gentleman, One Zero One Salon, and Comcast spotlight. Due to the growing of the downtown area, Blue Jazz and the Depot Kitchen and Market have relocated into larger, and newly renovated spaces. Downtown Hattiesburg had three of their largest and most centralized buildings purchased by CR Properties, which is the same group that is currently working on the Hotel Indigo in the New Midtown District. “These properties are slated for redevelopment in the next 3-5 years as residential and commercial space, which will add to the more than 100 residential units already located downtown,” said Saffle. Hattiesburg’s Historic Downtown Association recently installed the first phase of string lights in March and kicked it off with Friday Under the Lights Pub Crawl. Hattiesburg also saw record crowds at their Spring and Summer Outdoor Concerts, Live at 5 and Summer Tunes, which estimated more than 1,000 attendees per concert. This year's Craft and Beer Festival was the most successful it has ever been with a 30% increase in attendance and a 300% increase in profitability. 1. 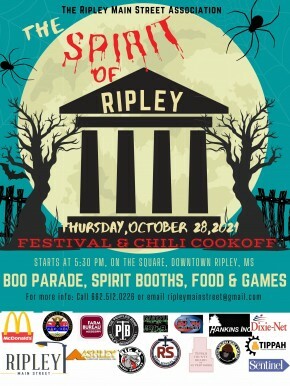 What has been the most exciting this to happen in Downtown Hattiesburg this year? Wow- that’s a hard one because there have been so many. We installed our first phase of downtown string lights in March and kicked it off with Friday Night Under the Lights Pub Crawl. We also saw record crowds at our Spring and Summer outdoor concert Series (Live@5 and SummerTunes), estimating more than 1,000 atendees per concert. Downtown Hattiesburg planned and hosted the first-ever Star-Spangled Celebration on the River to celebrate the 4th of July, which was a HUGE success on July 3rd with over 10,000 people attending this family-friendly firework event. We continue to see growth in tourism, overall interest in downtown, and in new business inquiries for downtown. Our Craft Beer Festival was the most successful it has ever been with a 30% increase in attendance and a 300% increase in profitability. Overall, our partnership contributions are up 10%, new membership is up 15%, and our community partnership and collaboration requests are up as well. Overall, its a great time to be in downtown! 2. What are the plans for Downtown Hattiesburg for the future? Are in new businesses looking to open in Downtown? We recently had three of our largest and most centralized buildings in downtown purchased by a local developer (CR Properties), the same group that is wrapping up the completion of the Hotel Indigo in the new Midtown District of Hattiesburg. These properties are slated for redevelopment in the next 3-5 years as residential and commercial space, which will add to the more than 100 residential units already located downtown. Additionally, we have had 4 new businesses recently open in downtown (Healthy Hub, The Gentleman, One Zero One Salon, and Comcast Spotlight), and two of our restaurants (Blu Jazz and Depot Kitchen and Market) just relocated into larger, newly renovated spaces due to the success they’ve found in downtown. 3. If you were describing Downtown Hattiesburg to someone who has never been, what would you tell them? Hattiesburg’s Downtown District has a rich history, creative vibe, engaging atmosphere, and compelling architecture that makes it a destination for any age! From barbeque festivals and pop-up art exhibits to splash pads and green space, the downtown area thrives on its unique offerings. Whether it’s a tromp through downtown with the family, stopping at the comic book store, town park, brick oven pizzeria and old-fashioned soda & ice cream stand, or a night on the town for pop culture trivia, wine and cheese under the lights, a live concert, or a show at a 1920’s era theatre, downtown is truly the heartbeat of Hattiesburg! 4. Many people believe that Downtown Hattiesburg is the art and culture center of Hattiesburg. Why do you believe that is? With the additional of addition of quality residential space, there’s nothing that Downtown Hattiesburg doesn’t offer. Shopping, dining and entertainment abound, but there’s also a top-ranked school, museums, galleries, and transportation offerings that make it a great place for investors, entrepreneurs, residents and visitors!